← Congratulation Lou and Stacey! 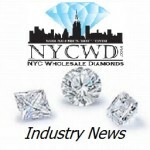 NYCWD is pleased to present the most recent and relevant industry news from the Diamond Industry’s most elite sources. Ovals are HOT, as well as Emerald, Pear and Cushion shapes. NYC Wholesale Diamonds has a vast inventory of all shaped diamonds. Call to book your appointment today.